THERE ARE OVER 10 THOUSAND STUDENTS WITH NCLEX SUCCESS STORIES, YOU CAN BE NEXT! 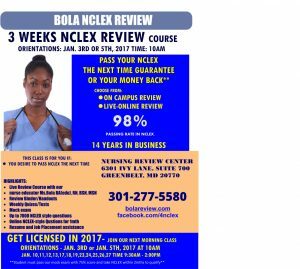 Our live NCLEX-RN review is one of the most successful in the U.S. Our review materials are developed by our expert nurse educators with years of teaching and clinical experience. At Nursing Review Center, we have a real understanding of what it takes to pass your NCLEX-RN exam the first time. For over 14 years, we have maintained a 98% success rate in the NCLEX. Our money back guarantee* is one indication of our confidence and an attestation to our success. It is no surprise that we’re one of the first choices for most colleges and students in the U.S.
We can help you to pass. Our nurse educators are familiar with the new test plans and passing standard changes and have updated our review to mirror the newer version of the test. Our questions are NCLEX-style which include select all that apply, priority, fill-in-blank, critical thinking etc. The National Council Licensure Examination has one purpose: To determine if it’s safe for you to begin practice as an entry-level nurse. This is very different from the classroom tests at your nursing school. Your nursing school exams are knowledge-based, but the NCLEX tests your ability to apply and analyze using the nursing knowledge you acquire in school. The NCLEX attempts to examine how you can use critical thinking skills to make nursing judgments. How well you do on this test will have a significant impact on your future and our goal is to provide you with the content you need to succeed on the exam. We have helped thousands of students from across the United States achieve their dream of becoming a Registered Nurse. You can be a part of this successful statistic by joining our next live review. Did you ever think of having a LIVE instructor without leaving your home? We deliver interactive and engaging lectures to you at the comfort of your home. *Student must pass our mock exam with 85% and take NCLEX exam within 2 months after review completion. Unlimited Questions Bank for 9.99? 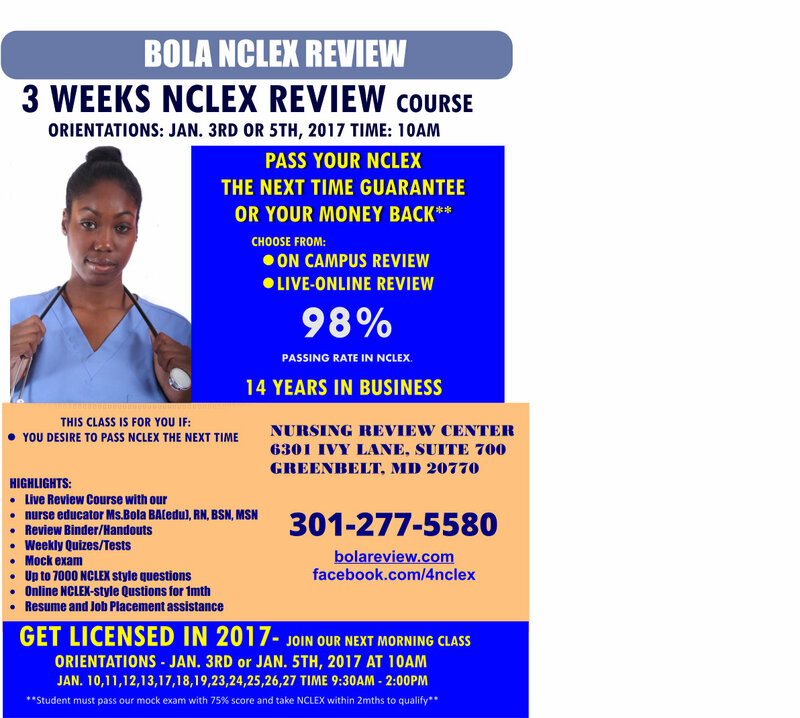 You will get unlimited access to NCLEX-style question bank that can improve your chances of passing the NCLEX at a sitting. This is a monthly reoccurence.